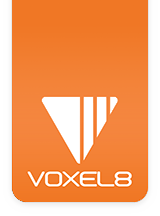 Welcome to the Voxel8 Developer's Kit Platform. This help center covers information on software, hardware, and the process of printing for users new to the Voxel8 Developer's Kit printer. If at any time you have comments, or questions, please contact us. We’d love to hear how to improve our 3D Printing Platform as we add more features and functionality to it. Before unpacking or operating your Developer's Kit printer, please carefully read over the safety guidelines page, for your own safety and that of others. 03/15/2016 - v0.8 of Voxel8 SolidWorks Add-in is available!